Malaysian powerhouse Mohamad Affindi grabbed his maiden win on the Asia Trail Master tour with a masterful run at Tahura Trail in Bandung, Indonesia, last Saturday. Taking the bull by the horns from the get-go, Affindi still had enough dash left in the tank to fend off the late charge by the surprisingly quick Pablo Diago Gonzales. Tomohiro Mizukoshi was a great third, while his Japanese compatriot Asuka Nakajima controlled the women’s 42k trail race and made a perfect ATM debut. The 7th edition of Tahura Trail was one for the record books with over 2700 people registered for the four races that took place during the weekend. 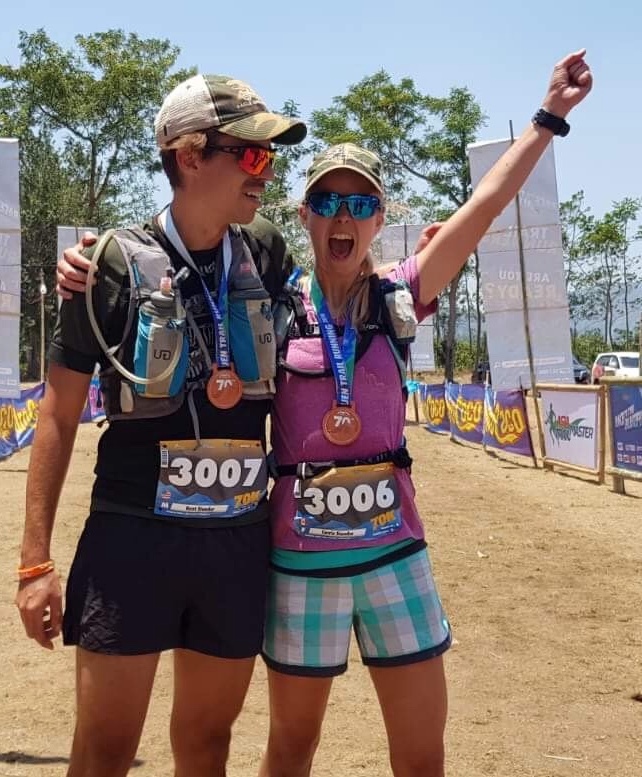 480 of them appeared on the start list of the 42k trail marathon, which for the third year in succession was the opener of the Asia Trail Master Championship season. As per tradition, the current ATM champions were present at the Tahura Park. However, Alessandro Sherpa (recovering from a surgical procedure two weeks ago) and Ruth Theresia (in training for her first goal, the 9 Dragons Ultra) did not compete in the main event. Bandung in January is often hit by heavy rain showers, but for the first time in three years, the race was dry from start to finish. Whenever a new season kicks off, we look forward to seeing new names appear on the boards, but this time in the men’s it was the established guard who controlled proceedings. Mohamad Affindi had been chasing a race win in ATM for one-and-a-half years, scoring multiple second places in the process, and finally got it right in Bandung. The 34-year-old Malaysian typically started fast and went solo after local youngster Yusuf Aprian, Ari Masrudi and Japan’s Tomohiro Mizukoshi were overheating. Seasoned long distance trail runner Mizukoshi was able to maintain a high pace, though, and didn’t allow Affindi to lose focus. Aprian lost a bit more terrain, yet would finish eventually as fourth and that is a visual improvement from last season, when he got eighth. 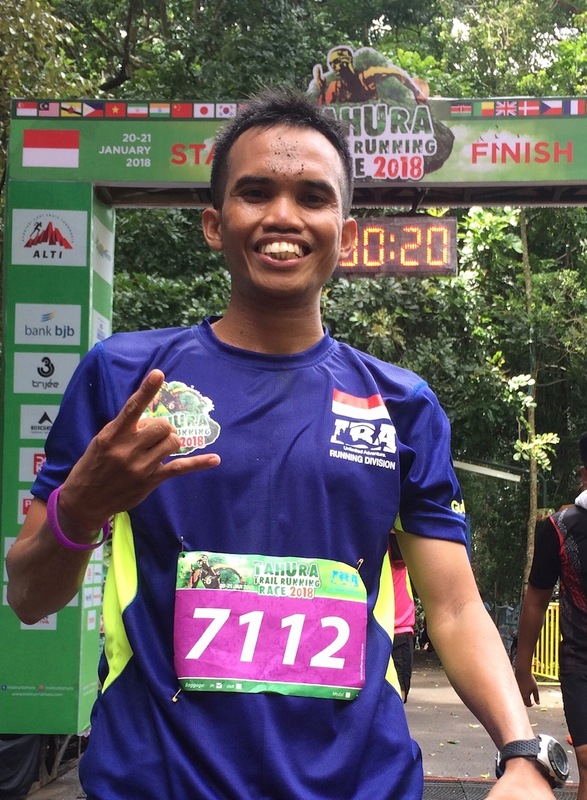 Aprian, only in his mid-twenties, was the top Indonesian runner on the weekend and increasingly looks like the man who could challenge Arief Wismoyono - unable to run in Tahura due to work obligations - for the number one spot in his country. On the other hand, Masrudi didn’t have the best of runs as he slipped from second (2017), fifth (2018) to sixth this year. He was the one who resisted most to Affindi’s early attack. 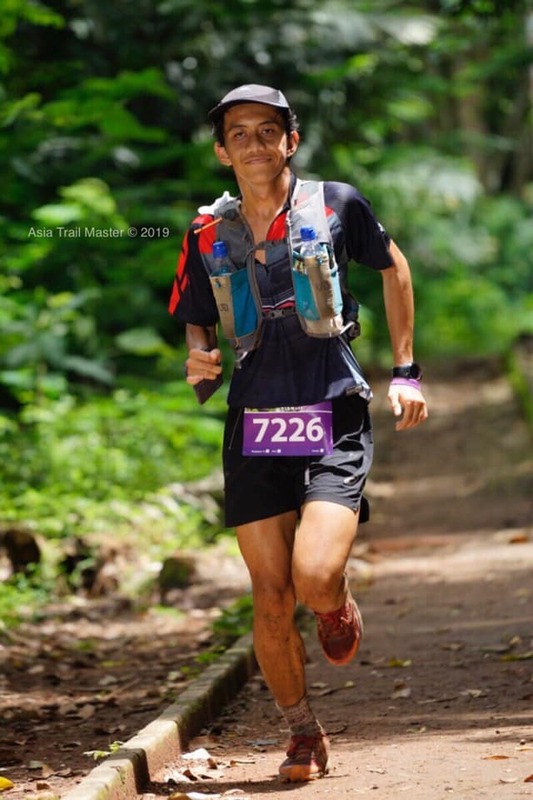 Another local trail veteran, Rudi Iskandar, managed to pass Masrudi at the end to score fifth place. Christovik Simatupang and Fandhi Achmad were the next finishers. And where was Pablo Diago Gonzales all that time? At some point, the Singapore-based Spaniard was down in tenth place! However, he is not a three-time race winner and two-time top five ATM championship finisher for nothing. Diago Gonzales left the early battles to the others, and gradually began to up his pace in the second half of the race. One by one he collected and overtook, and in the final five kilometre he even passed Tomohiro Mizukoshi going into second place. Eventually, he even approached Affindi, which made the latter so nervous he shifted back up a gear and powered over the final hill to the finish line in 4:27. The top trio arrived relatively close together they all got into the live video broadcast that you can see below. By all means an excellent start of the season for all three protagonists. The women’s race was perhaps less spectacular as Asuka Nakajima’s pace was just a little too high for Surabaya’s Sri Wahyuni, who collected yet another podium place in an ATM points race. Wahyuni will take comfort in Affindi’s victory, as it also took him a long time before finally taking the podium’s top step. 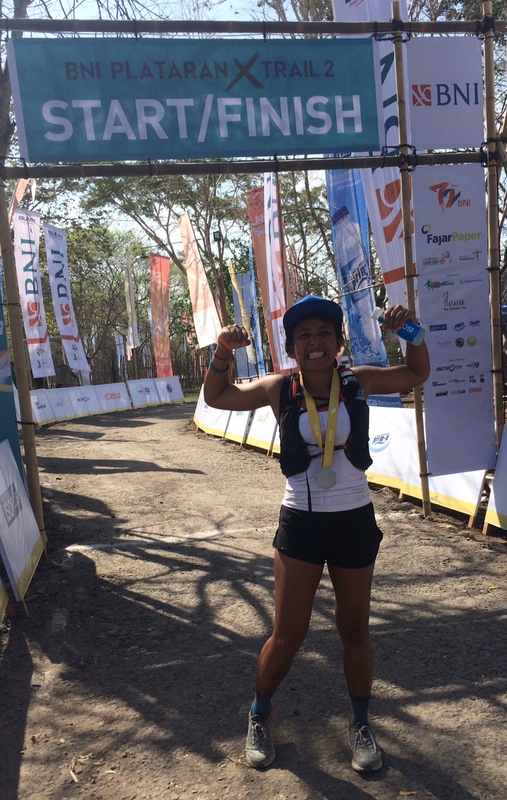 Nakajima is based in Jakarta, runs a 3:14 road marathon, and will be someone to be reckoned with in the next months, as she is poised to compete in several ATM points races, including even the super tough Indonesia SuperTrail, Mantra Summits Challenge in Malang in July. It’s 2019 and it’s tabula rasa! A clean sheet for all runners at the start of the 5th Asia Trail Master Championship series, which kicks off tomorrow in Indonesia with the 7th Tahura Trail in Bandung, West Java. Who will rise to the top in the next 11 months to compete with the established guard on the challenging trails of Asia? The five-best-count rule remains in effect, and runners can score championship points in 30 races across at least 13 countries before the big new final in Taiping, the Malaysia Mountain Trail Festival on 14/15 December! By then we know who the successors are of 2018 ATM Champions Alessandro Sherpa and Ruth Theresia. The two defending champions will be honoured at the beautiful Tahura Hutan Raya on Sunday morning, as has become custom. Tahura Trail has indeed been the opening event of the Asia Trail Master series since three years and we love it. The 42k trail marathon is a concise summary of everything what trail running is about, and given the moderate race distance the ideal start of anyone’s campaign after the new year’s break. Sherpa and Theresia will not be eyeing the victory on Saturday, however. The Singapore-based Italian underwent long-postponed surgery two weeks ago and is currently unable to race, let alone on the potentially wet and slippery trails of Tahura Trail’s mid-section. Homerunner Theresia opts for the 21K non-ATM distance, as she did last season. 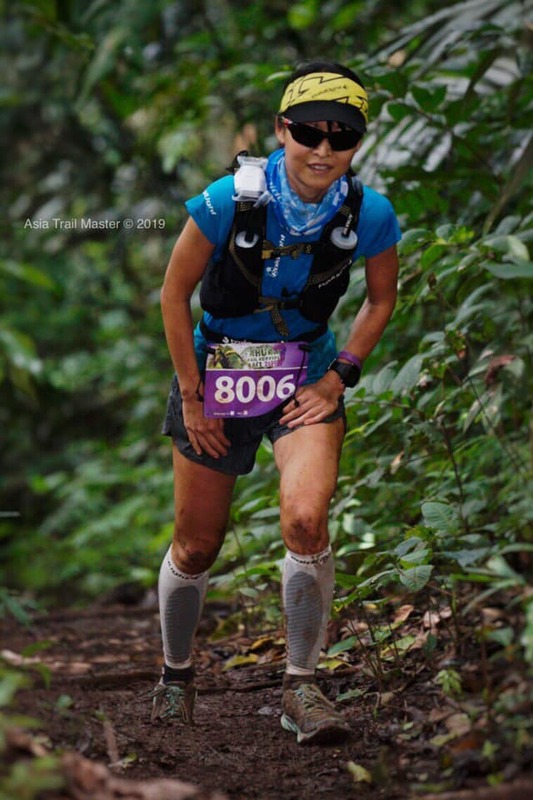 Her focus is on the 9 Dragons Ultra in Hong Kong in two weeks’ time, the first SuperTrail in the 2019 ATM Championship, for which she wants to be in top form. The trail marathon in and around the park in Bandung has a wide open competition, at least on paper. Six to eight runners have a logical chance to emerge victorious in the men’s. Without Jeff Campbell (winner last year) and Abdullah Mitiche (winner 2016, 2017), it could be the big day of Ari Masrudi. The fast Indonesian has been second and fifth in this race and therefore has the experience to time his efforts perhaps better than his rivals. Masrudi has been knocking on the ATM door for some time, and a big win in the season opener would be the protagonist entry he has been looking for. The same applies to BDG youngster Yusuf Aprian. A raw talent who has notched up wins already, but not yet at the level of ATM’s A races. His second place behind Salva Rambla at Ijen 70 just a few months ago does indicate that it is only a matter of time. Aprian making that final step forward in his development would be fantastic. Last year he was 8th in this race. What can we expect from Jakarta’s Christovik Simatupang? A specialist of the shorter trail races, Simatupang is arguably the dark horse of the weekend. If he can keep his pace over the full distance of 42 km, he won’t be far off the podium, which means top 5 in Tahura. Aiming for that will also be Rudy Iskandar. A strong competitor who crossed the finish line in 6th place a year ago. Japan’s Akihede Ando was behind him in 7th, and is also returning on Saturday. But Ando will not be the only Japanese runner with ambition at the starting line: ATM’s Trailmate of the Year, Tomohiro Mizukoshi is making the journey from Tokyo to Tahura to launch his 2019 campaign in the best possible way: a win. Not taking a long rest after a heavy 2018 season in which he took 3rd place in the Championship, Mizukoshi has tasted victory before in Indonesia, winning the Plataran X Trail in Bali last October. His running speed is quick and he knows how to cope with mud and technical sections, yet is 42 km long enough for Mizukoshi to make the difference? For Malaysia’s Mohammad Affindi the marathon distance may be just right. Always quick out of the blocks, Affindi may find a trail course made for his characteristics and yes, he is motivated to launch his new ATM campaign with a bang. Finally, what can Spaniard Pablo Diago Gonzales do at Tahura? Everyone knows who strong he is on the most technical and toughest of races - see Mantra Summits Challenge - but he is actually also a fast road runner on a good day. Diago Gonzales won three ATM races over 70 km in 2017, two of them in Indonesia, and finished 4th and 5th in the Championship in 2017 and 2018 respectively. Never underestimate him! Another born European who will feature up front is Wilhelmus Van Vliet, winner of the 21K race last year and now moving up to the A-race of 42 km. The participation of Margono, the Indonesian speed-walker who was second behind Campbell and ahead of Sherpa last year, is still in doubt. If he turns up, Margono of course becomes a top contender for the race win as well. What is certain, however, is that Bandung’s number one Arief Wismoyono won’t be competing this weekend as work duties prevent him from doing so. In the women’s race all eyes will be cast on Sri Wahyuni, the number 3 of the 2018 ATM Championship and of this race as well. The Surabayan runner often made races a bit harder than anticipated for Ruth Theresia last year, and could grab her first career ATM race win. Already a Grandmaster as well, Wahyuni has incredible grit and always gives it her all. Of course, a maiden victory won’t be given to her on a silver platter. On paper, she may receive the sternest challenge from a Japanese runner who has a 3:20 pace on the road marathon: Asuka Nakajima. Based in Indonesia, Nakajima is making her debut in ATM and it will be fascinating to see how she fares in Tahura Trail. Others eyeing a podium result will be Mila Marlina, Novita Wulandari, Ping Yanti and Siti Nuraini. Asia Trail Master will be covering the opening race of the new season extensively via social media as usual. As of 6 am on Saturday, Jakarta time, we will start with our multimedia coverage, including live video broadcasts. Just go to our Facebook ATM page to follow the event.